In this area, Tony Buzan is drawing attention on information processing in the brain. Currently there is a tremendous amount of interest in how each cerebral hemisphere process information, how information is shared between the hemispheres, and how the two hemispheres work together to process information. The pioneering work in this area was conducted by R. W. Sperry and his associates at the California Institute of Technology. In 1940, two articles appeared in the literature dealing with the corpus coliseum, a huge band of nerve fibers which relay information between the two cerebral hemispheres. T. C. Erickson published an article describing how an epileptic discharge of activity spread from the one hemisphere to the other via the corpus coliseum in the brains of monkeys. Van Wagenen and Herren also published an article describing how damage to the corpus coliseum often reduced the number of seizures experienced by human epileptics. The above two studies led to a radical treatment for humans with epilepsy who did not respond to traditional treatments. This new treatment, involving severing the corpus coliseum, was termed "split-brain urgery". Sperry and his associates had done a great deal of experimental work with cats that had the optic chiasm severed. In a normal cat, or human, information from each eye goes to both hemispheres. By severing the optic chiasm, the information from each eye goes only to the ipsi-lateral or same side hemisphere. That is, information from the left eye goes only to the left hemisphere and information from the right eye goes only to the right hemisphere. Sperry showed that, when information goes to only one hemisphere in a cat with the corpus coliseum split, the information is not available to the other hemisphere. Sperry was the first to investigate the effects of the split-brain surgery on human epileptics. A split-brain patient is seated in front of a screen and is asked to look directly at a black dot in the center of the screen. A picture of a cup is flashed briefly to the right of the dot. This information is lateralised, or delivered only, to her left hemisphere. The subject is asked what she saw. Since the information went to the left hemisphere, or speaking hemisphere, the subject answers "cup". A picture of a fork is then flashed to the left of the dot. This information is lateralised to the right or non-speaking hemisphere. When the subject is asked what she saw, she says "nothing", since the right hemisphere cannot produce language. However, if she is asked to reach under the screen with her left hand (controlled by the right hemisphere) and pick out the object she saw from a number of hidden objects, she is able to do this. If she is then asked to name the object that she has picked out, she cannot verbalize the response (Sperry, 1968). Experiments such as these led Sperry to suggest that "each disconnected hemisphere appears to have a mind of it's own". It appears that, at least in a split-brain subject, each hemisphere has no knowledge of information processed solely by the opposite hemisphere. In the wake of Sperry’s findings, a multitude of experiments were conducted on both split-brain and normal humans. Hampden-Turner (1981) summarized much of the research as suggesting that the left hemisphere is better at verbal, analytic, sequential, reductive-into-parts, and time oriented tasks, while the right hemisphere is better non-verbal, holistic, synthetic, visuo-spatial, intuitive, and timeless tasks. 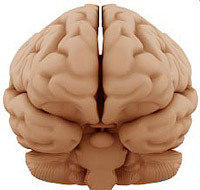 Consequently, many people have often tried to become more "right brain" or "left brain". Virtually all of the right/left hemisphere distinctions have resulted from experiments where stimuli are delivered to only one hemisphere. Joseph Hellige (1987) points out that, as humans interact with their environment, both hemispheres receive the same information and, often, both hemispheres are capable of processing the information. The important question facing experimental psychologists now is, to what extent do the hemispheres interact in order to process the information received. Hellige (1987) has conducted a study exploring this very question. By using an instrument called a tachistoscope, stimuli were either delivered to each hemisphere individually or to both hemispheres simultaneously. The research question was whether the bilateral condition (where the stimuli were delivered to both hemispheres) would produce results like the left hemisphere in isolation, the right hemisphere in isolation, or a combination of the two. The results showed that, when the information was delivered to both hemispheres simultaneously, the resulting performance appeared to be a combination of input from both hemispheres, with the extent to which each hemisphere contributing to overall performance varying greatly between subjects. That is, each subject appeared to have his or her own style of processing rather than simply relying solely on the left or right hemispheric style of processing. The above study is one of the first to investigate how the hemispheres work together. It is representative of the current interest of whole-brain processing, and strongly support Buzan’s emphasis on integrating both hemispheres. As indicated, there is no general rule concerning processing style. Rather, people will vary in how muchthey use each hemisphere. However, the results are clear in that, as stressed by a great many brain researchers, the hemispheres do not act independently and there appears to be a great deal of sharing between the hemisphere during problem solving. This also supports Buzan’s constant reminder that we are all unique with unique strategies for problem solving. You may apply this information in your business in a variety of ways. One suggestion may be to have people with very different problem solving styles working together on tasks. Input from each person may be radically different from the other person, and a new kind of synthesis may develop. Another way may be to have young people with less business experience but more recent school knowledge working with older mentors who have been in the field for a number of years. Each can contribute a different view on the current tasks and can stimulate creative ways of dealing with problems at hand. Another key point Buzan is raising in this article is the power of daydreaming. This issue of the importance of daydreaming and night-dreaming on human behavior has been a controversial one for many years. Recently animal experiments have provided evidence which suggests that, indeed, dreaming, whether daydreaming or during the nigh sleep cycle, may have a tremendous impact on human performance. In Michael Gazzaniga’s book Mind Matters, he cities evidence relating the importance of rapid eye movement or REM (a state the human is in while dreaming) to learning in animals. In one study, rats were trained to perform a particular task. While they were learning the task during the waking hours, the time spent in REM during their sleep cycles increased. Once the task had been mastered, their REM time returned to normal levels. More importantly, if they were deprived of REM or dreaming, by being awakened, their performance on the task was impaired. In other words they performed poorly on the task if they were not allowed to dream during their sleep cycles. These results provided evidence for the important of dreaming on learning a new task. You may benefit from this finding to help you learn and perform better, both in your personal and professional life. These results suggest that, after a training, study, or brainstorming period, it may be extremely rewarding to not only take a break, but take a break in which you rest and let your mind go blank. It is imperative that you do not become occupied with another task, for this may clutter the mind and interfere with learning. In addition, it is advisable to review new information before going to bed. If one may generalize from the animal studies to humans, a process which is done quite often in research, the amount of time you spend dreaming following learning new information or a new task can increase your comprehension and performance. Erickson TC. Spread of epileptic discharge. Archives of Neurology and Psychiatry. 1940;43:429-452. Gazzaniga M. Mind matters. Houghton Mifflin Company, Boston; 1988. Turner C. Maps of the mind. Collier Books, New York; 1981. Hellige J. Interhemispheric interaction: Models, paradigms and recent findings, In duality and Unity of the brain: Unified functioning and specialization of the hemispheres. Macmillan Press Ltd, London; 1987. Sperry RW. Hemispheric deconnection and unity in conscious awareness. Scientific American. 1968;23:723-733. Van Wagenen W, Herren R. Surgical division of commissural pathways in the corpus callosum. Archives of Neurology and Psychiatry. 1940;44:740-759.